What Are the Benefits of a Free Trade Zone? Free trade zones, also referred to as foreign trade zones, are designated areas where finished goods and raw materials can be purchased, sold, manufactured, imported and exported without the barriers to trade that are ordinarily imposed by customs authorities. Free trade zones are commonly located in close proximity to airports, seaports and national borders. The absence of intervention and regulation by customs authorities in these zones offers several distinct benefits for consumers, businesses, manufacturers, importers and exporters. The elimination of export duties allows goods and materials to be imported to the zones and then exported without being taxed. For example, raw materials or components could be shipped to a manufacturer located in the free trade zone without incurring customs duties. The manufacturer then incorporates the materials or components in the building of finished products. The products can then be exported without being taxed. Free trade zones allow goods to be imported and stored without being charged customs duties. Instead, taxes are charged when the goods move from the free trade zone into areas of the host country where customs duties are imposed. The deferral of duties allows businesses to manage cash flow by paying taxes on goods as they are shipped out of the free trade zone rather than paying duties in a lump sum when goods arrive. Quota-based tariffs typically increase tax rates as more goods enter a country over a specified period. For example, a country with a quota on widgets could set a lower tax rate on the first 10,000 units to enter the country in a given period. It could then impose a higher tariff rate on every imported widget in excess of that quota. Free trade zones, which allow for indefinite storage of goods without charging customs duties, allow goods to be shipped without the worries of exceeding quotas. Companies can store goods and then transfer them when tariff rates are reset to their lowest levels at the beginning of a new quota period. How to Calculate Import Duties From China to the U.S.
An inverted tariff applies when standard customs duties charged on raw materials used in manufacturing are higher than duties on the resulting finished product. The higher cost structure resulting from inverted tariffs can put local manufacturers at a significant competitive disadvantage in relation to importers of finished products. In free trade zones, manufacturers can select the lowest tax rate for raw materials and finished goods, resulting in competitively priced products. 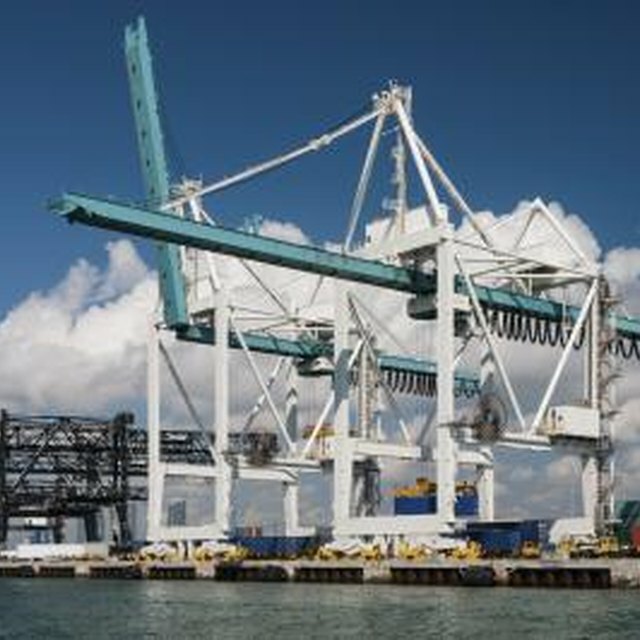 The free trade zone in Miami processes up to $1 billion in goods and materials each year.